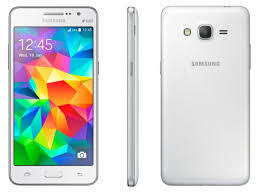 Samsung Galaxy Grand Prime was released in September,2014.the grand prime comes with the Kitkat Version.It can be upgrade upto Lollipop 5.1.1 and marshmallow.If you feel the Mobile is Junked with Unwanted Mobile Company applications.You can recover it By rooting.When rooting you can change your ROM.But normally You can delete some company applications and free your mobile memory and also you can increase your Phone memory.You can Easily root your mobile without computer.You can Free Your Mobile From lots of unwanted applications with the help of root. what other's are Reading: What's So Trendy About Virtual Reality That Everyone Went Crazy Over It? >when the restart completed, install the supersu. congrats!!! your samsung galaxy grand prime rooted successful to check that your grand prime is rooted download root checker. Everything unlocker where all the latest tech reviews, upcoming technology and video games SEO and many more to be found here,so you don't have to go anywhere we will provide you each and everything right here in our platform..